Another regiment of Dragoons using horrible Foundry horses, see the previous post for more details. 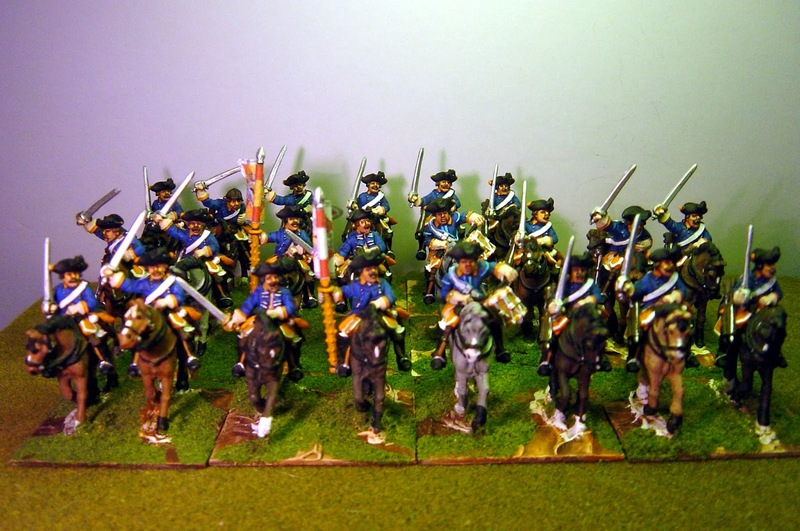 This time the 10th Dragoons with orange facings and the best name ever - Finck von Finckenstein. I'm quite content with my family name which is English and quite old but if I was ever to change my name this is what I would like to be called Nigel Finck von Finckenstein!